Click the button below to add the Excessive Chemicals Hair Treatment to your wish list. If chemical processes or treatments damaged your hair,, this product is for you. This product will deeply penetrate the most damaged strands to provide them with strength and manageability, preventing breakage. Hair fall and breakage from a bad perm, color, bleach, and/or dye can be stopped. Damage and loss that occurs as the result of such chemical treatments can be traumatic but is usually temporary. You can begin to restore and regain hair strength while improving the health and appearance of your hair by using our repair therapy especially made for chemically treated hair. This product immediately penetrates your damaged strands to add strength and flexibility from the inside out, which helps stop future breakage. It also works on your scalp and follicles to deliver plant extracts loaded with vitamins and essential fatty acids to help them recover. Your hair and scalp will look and feel healthy, revitalized, and moisturized. Repairs hair damaged by relaxers, bleach, color and/or keratin treatments. Conditions and strengthens hair to help prevent further damage. Leaves hair soft and silky smooth while creating noticeable volume. Due to its pure concentrated ingredients, we suggest using a very minimal amount. Wild Yam Root and Bilberry Extract promote healthy looking hair growth. Coconut Oil has vitamins and essential fatty acids that nourish the scalp and help remove sebum buildup from hair follicles. This oil helps your hair grow longer, thicker and faster for a fuller appearance. 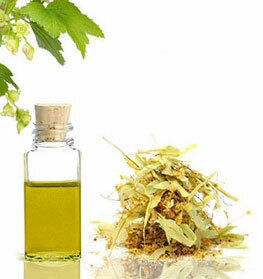 Grapeseed Oil contains a high level of Vitamin E, which is necessary for hair growth. 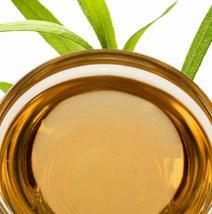 This oil can be used as a hot oil and will make your hair look shiny and luminous. Olive Oil is great for thick, processed or split ends. It keeps the hair moisturized while preventing damage from chemical services. When doing any chemical processes, keep your hair a little dirty. This may prevent you from getting chemical burns and will protect the hair from the harsh chemicals. Be extremely gentle with the hair. Comb and brush your hair only when needed, always from your ends upward. If you do the opposite, it could cause the yanking and tearing of perfectly good hair. If your hair is extremely damaged or fried, the best thing to do is to cut all the damaged parts away and start fresh again. We suggest stretching your chemical service as long as you can. This will prevent you from overlapping/over processing your hair and damaging it. Invest in deep conditioners. Your hair becomes drier and more porous once you add chemicals to it. It is best to buy a deep conditioner and a deep moisturizing conditioner to balance your hair and keep the hair soft, supple and strong. Never use rubber bands or metal clips that snag and rip out hair. Convert to seamless barrettes, and silk/satin coated scrunchies. Get a trim every eight to ten weeks to keep your hair in shape. Salvia Hispanica (Chia Seed) Oil, Simmondsia Chinensis (Jojoba Seed) Oil, Macadamia Integrifolia (Macadamia Nut) Oil, Ricinus Communis (Castor Seed) Oil, Prunus Armeniaca (Apricot Kernel) Oil, Cocos Nucifera (Coconut) Oil, Vitis Vinifera (Grapeseed) Oil, Corylus Avellana (Hazelnut) Oil, Olea Europaea (Olive Fruit) Oil, Persea Americana (Avocado) Oil, Cucurbita Maxima (Pumpkin Seed) Oil, Citrus Sinensis (Orange) Peel Oil, Lavandula Angustifolia (Lavender) Oil, Mentha Piperita (Peppermint) Oil, Cananga Odorata (Ylang Ylang) Oil, Rosmarinus Officinalis (Rosemary) Oil, Camellia Sinensis (Green Tea) Extract, Dioscorea Villosa (Mexican Wild Yam) Extract, Vaccinium Myrtillus (Bilberry) Extract, Glycyrrhiza Glabra (Licorice Root) Extract, Tocopherol (Vitamin E). Everyone if different, but for me this is the good stuff. I am a 60+ white woman. Hair has been thinning for the last few years but really started to fall out earlier this year. Won't bore you with details, but research and personal experience led me to hair coloring as the prime cause, hence this purchase. Also bought the therapy Hair Loss Shampoo, Hair Loss Conditioner, and Vinegar Rinse. Used them exclusively for past few months as directed so can't isolate results to one product. With first use, hair fallout was significantly reduced and hair felt fuller. Have been watching carefully, no signs of regrowth yet (so four instead of five stars), but definitely has stopped the excessive loss. Will definitely re-order the shampoo and conditioner, but may switch to the Grow New Hair product or Hot Oil Grow Hair Formula when the Ex Chemicals Hair Fall Treatment is gone. Probably won't re-order the Vinegar Rinse as I have just used ACV in the past and seems to work as well for much less money. All in all, good stuff. Update a few months later: definitely starting to see some new hair growth. Not a lot, and very fine, but new growth! Changing to 5 stars. This product has changed my life. My hair has been badly damaged from a relaxer and nothing was working to repair it. I was searching on your website one day just look for buy product that will restore my hair I bought the Vinegar Rinse Cleanser and the Excessive Chemicals Treatment. I have seen a huge difference in my hair. It has gotten so much healthier and my friends are asking me what I am using. Recommend this to anyone with severe damaged hair. My hair was damaged. Let me repeat myself DAMAGED. Growing up in the 70’s all I did was spray tons of hair spray chemicals, use my straightener, and blow dryer. My hair for the longest time was fried and never looked healthy regardless of what I used. After speaking to a girl at a salon she recommended I check out Just Nutritive. This product has really helped give my hair a soft moisturized feel while slowing down my hair from falling out. Great overall product will try more of their stuff. Best leave in hair treatment I have tried for a reasonable cost in my opinion. The amazing natural extracts are no to overpowering in smell and you do not need much when applying. After a few months my hair was noticeably softer and my hair loss had decreased dramatically. I actually noticed a difference using this product. That doesn't seem to happen often with hair products for me. After numerous keratin treatments my hair felt dry. Using this product every night has finally left my hair feeling silky smooth with increased volume. I’ve been using this product almost 4 months now and I have to say it works pretty well. My hair does feel a lot healthier and my hair isn’t falling out anymore. The price for the bottle size is a little much but this is just me knit picking. Not sure where to begin. I have extremely curly hair and I constantly am straightening it for work. Over 20 years this has damaged my hair leaving it thin and dry. I have used all the typical products you find at your local store, with no results. I decided to try this after looking for a natural alternative. 6 months later my hair is fuller, thicker, and looks great. One of the best leave in hair treatments I’ve purchased. This conditioned and strengthened my hair which was amazing. I have dyed my hair so many times my ends felt like straw and my hair was falling out everyday. My hair feels soft and thick again. It takes a few months but is worth the time. So glad I made this purchase. I was sick of buying the “large” name brand products and never getting the results I was promised. This refreshed my hair and it is feeling fuller then ever. This made my long hair softer and healthier-looking. It really made a difference. I typically apply it overnight. I was always bleaching my hair from brunette to blonde and vice versa. I finally decided to stay natural a noticed how damaged my hair had become. This hair treatment was a wonderful solution to my problem. I heard rave reviews about this line of hair care, but because of the price I was hesitant but I received an Email for a special of 20% off and decided to give it a try, I used the treatment for the 1st time and I I could tell the difference right away there was no shedding of hair in the shower after using the treatment, shampoo, vinegar rinse and conditioning products, I will continue to use the products to return my hair back healthy after a over process permanent, and your hair smells great! I rated with 4 stars because I've only used it once so far, but I like the results thus far. applied before bed and left on overnight (will apply more next time) washed out nicely, no heaviness after washing. smells nice hair was VERY Shiny and soft for days after.